NEW PRODUCT ALERT!!! Krispy Kreme’s Bacon and Cheese-Filled Ring Doughnut: Comfort in Every Bite. Just when you thought they have come up with every flavor possible, Krispy Kreme has created a new variant that bursts with mouthwatering goodness at every bite. 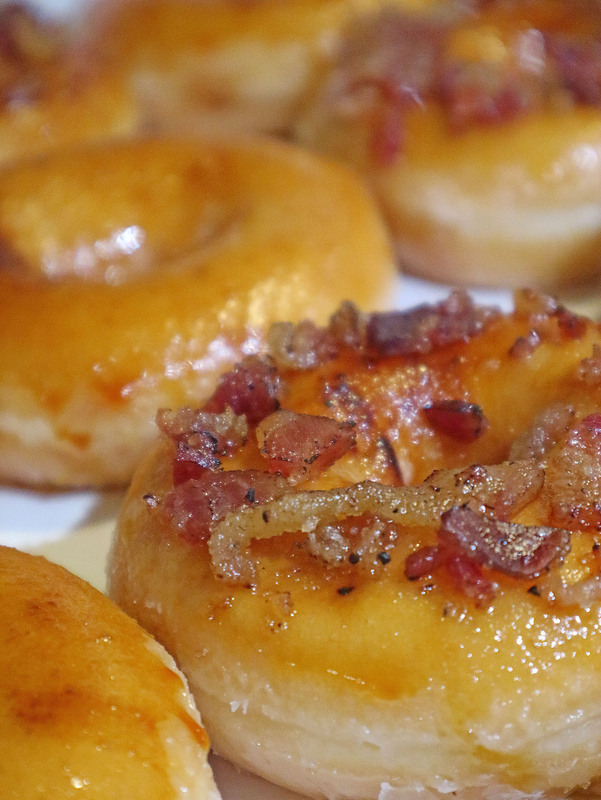 Say hello to the Bacon and Cheese-Filled Ring Doughnut! By combining two of the most popular comfort food, bacon and cheese, Krispy Kreme’s latest Holiglaze sweet dough pastry hits the right spot on the palate. 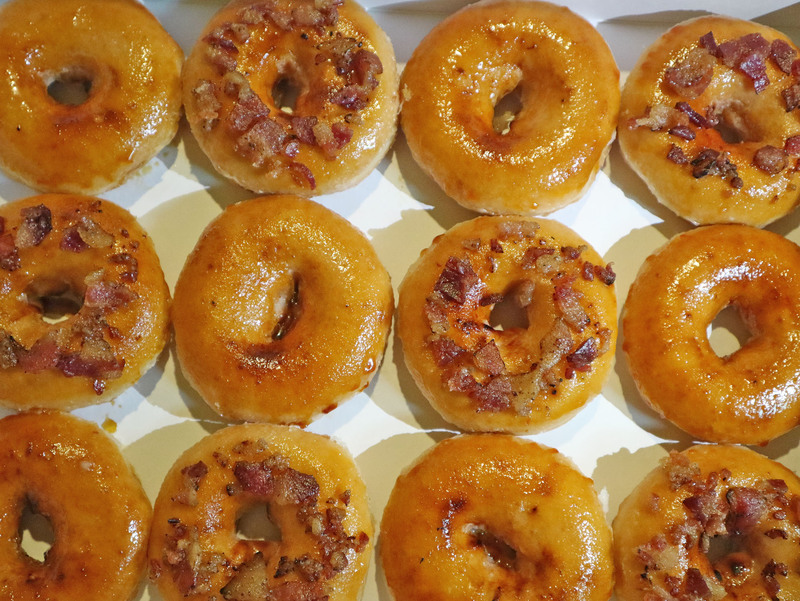 Here’s why you should try the new Bacon and Cheese-Filled Ring Doughnut by Krispy Kreme. Imagine gooey melted cheese filling enveloped in the pillowy soft dough of the Original Glazed doughnut and then topped with smoky bacon bits – this new and delicious dough-concoction packs a punch in both taste and heft. Each bite into the ring doughnut gently unveils graduating flavor points from sweet to salty to savory. Personally, each bite reminds me of Christmas food. 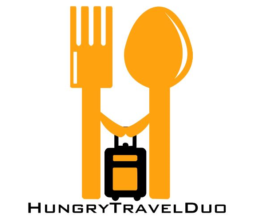 That distinct treat of eating sweet and savory ham with the salty taste of a good and fluffy ensaymada. Oh, what a delight it is, really! With its complex taste and satisfying portion, the Bacon and Cheese-Filled Ring Doughnut is the perfect way to indulge hours after a midday meal. Or when you need something to reward yourself after a hard day’s work. When paired with coffee or hot chocolate, this yummy and savory ring doughnut balances out evenly. And becomes a complete meal in itself. But don’t take our word for it. Try it yourself while supplies last! 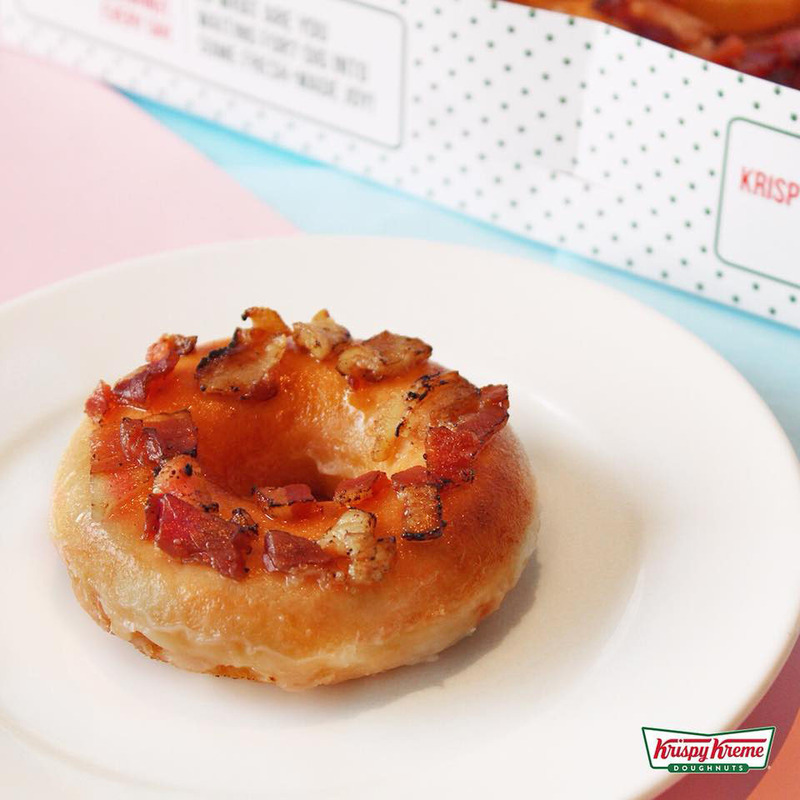 The Krispy Kreme Bacon and Cheese-Filled Ring Doughnut is available for a limited time only. At all Krispy Kreme stores nationwide. Have a bite into this delicious chewy delight for a well-deserved treat for only for Php 65.00.